Warren McGuire is a Partner of Blue Cove Capital. 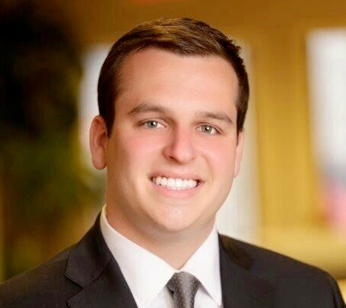 He began his career as a Financial Consultant at AXA Advisors, LLC in 2013. In this role, he works with professionals, business owners and high net-worth individuals, advising them on strategies for asset accumulation and wealth preservation. Warren holds degrees in both Finance and Economics from Villanova University. He earned the Retirement Planning Specialist designation from the Wharton School of Business, and also maintains the Series 7, 63 and 65 FINRA securities registrations, as well as Life & Health Insurance Licenses. He is a qualifying member of the prestigious Million Dollar Round Table (MDRT), an elite international network of the top 5% of financial professionals globally, who service their clients with exemplary performance and the highest stands of ethics, knowledge, and productivity. In 2015, he ranked #1 in the Northeast Region for overall production in his company assigned class. He was also nominated for the Five Star Wealth Manager award. Warren also qualified in 2016 for the National Life Leaders conference which recognizes the top advisors in the country. Originally from Pittsburgh, Warren now lives in Manhattan. He enjoys sports, hiking, skiing, wine and golf. He is an active member in the community and looks to give back as much as he can.